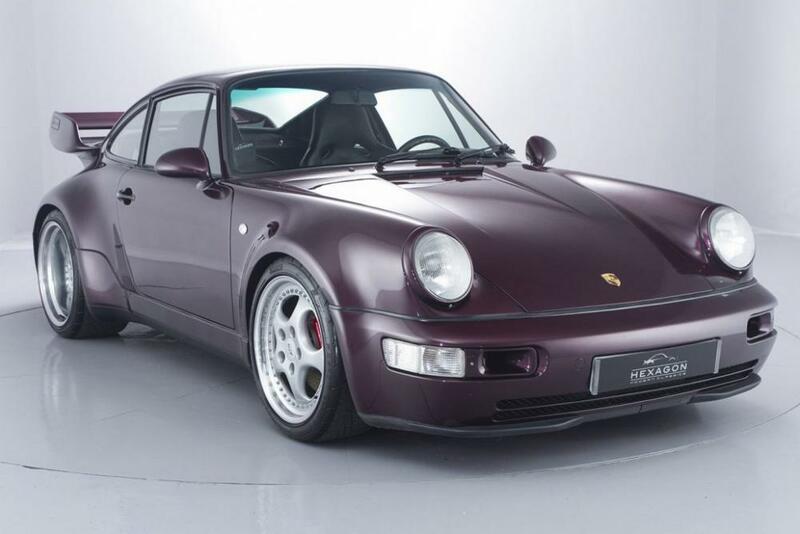 Metallic Amethyst, BODY/WHEELS 3.8 RS, Upgrades – Ninemeister 3.8 RS Body Conversion, All Panels using Porsche Parts, Aluminium Bonnet, 3.8 Speedline Original Alloys, 12 months MOT, Service history, Excellent bodywork, Black Full leather interior – Excellent Condition, Tyre condition Excellent, Left-hand drive, 2 seats, The 911 Carrera RS 3.6 was introduced by Porsche in 1992, and it was developed specifically for the European market as a lightweight, track-ready version of the Carrera 2. Whilst the RS did not look much different from the other 911 models on sale, engineers in Weissach utilised the simple and time honoured motorsports philosophy of “reduce weight, add power” to produce the most dynamic 911 since the original Carrera RS in 1973. Porsche went to great lengths to reduce nearly 175 kilograms of weight off of the Carrera RS. Aluminium was used for the doors and bonnet, and thinner glass was used for the side and rear windows.